Promoting healthy herbs and a holistic lifestyle, Dragon Herbs id the leader in Chinese herbalism. Focusing on the concept of balancing Jing, Qi, and Shen to provide deep long term reserve energy, Dragon Herbs supplies over 1000 herbal formulations made from the highest quality herbs to guide you on a path to achieve glowing health. 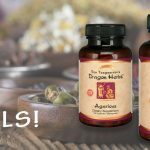 By supplying tonic herbs and superfoods, Dragon Herbs hopes to serve your needs to achieve your most radiant health. Where Can I find Dragon herbs? Several online retail stores sell these products in both a one time purchase and a subscription. Within our research we have found that Renewed Health is by far the most “bang for your buck”, With high quality and low prices, Renewed Health has no competition when it comes to their Dragon Herbs products. Renewed Health- Only the highest quality products are featured with prices that are the lowest and best within the market. They are an avid supplier of Dragon Herbs, juicers, and nutritional supplements. Selling individual products and bundles of Dragon Herb products, prices range from $8.75 and $113.98. If you are looking for the cheapest prices on Dragon Herbs especially with the auto-shipping options this is definitely the place to shop. iHerb- Coming in at a 1.1% price increase from the cheapest supplier, iHerb supplies over 1,200 brands and 30,000 brand name products that you can also find at health food stores and pharmacies that sell natural products. Holistic People- Focusing on wellness products at a 1.33% increase from the lowest supplier, Holistic People supplies organic, vegan, and supplements. They are sell herbs, superfoods, and kitchen appliances. Vitacost- Supplies products including supplements, vitamins, health foods, sports nutrition, beauty, home, and products for your pets. Typical range of Dragon Herb products start at $8.54 to $93.82. Vitacost has a 3.2% increase of prices from the lowest supplier. Dragon Herb’s- Supplying and manufacturing Dragon Herb products to be placed in retailers worldwide, Ron Teeguarden’s Dragon Herbs comes in at a 6.25% increase from the cheapest supplier. Why Buy From Renewed Health Supply? Family owned and operated since 1998, Renewed Health was created to have a place where all the major aspects of health could be met without having to go to many sources and worry about compromising quality. Focusing on products that fortify and strengthen the system of both the healthy and ill, they classify tonic herbs and incorporate a holistic lifestyle to build your most radiant health.With high quality, well researched, and fair prices, Renewed Health is your first and foremost supplier of Ron Teeguarden’s Dragon Herbs products.